The future of the Carson microgrid remains uncertain following the city council’s failure to act on the project this week, as the deadline looms for a $10 million California Energy Commission (CEC) grant. The Carson city council voted Tuesday to delay until September 4 a decision on whether or not to go forward with the project. At Tuesday’s meeting the council continued to say its staff lacked necessary documentation about the project. But David Bliss, CEO of Charge Bliss, the project developer, said he had supplied the requested data several times and that a list of the documents and dates they were submitted was in each of the councilors’ packets. “We have not held back any documentation nor is there any additional documentation to provide,” Bliss told the council. In all, Charge Bliss has now provided more than 1,000 pages of supporting documents, including comprehensive designs, engineering, specifications, budgets, and financial analytics, he told Microgrid Knowledge. 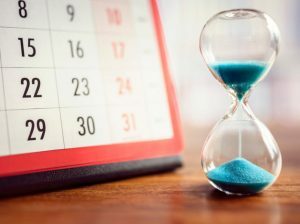 Bliss warned that the clock is ticking, and his company may not have enough time to prepare the lengthy grant application. The grant is due September 21 to the CEC. Bliss came prepared to present details of the project to the council in open session — as he said the council had requested. However, the council instead instructed Bliss to provide the information privately to staff. The CEC awarded Charge Bliss a $1.5 million grant in 2016 to develop the project plan, which includes 40 Level 2 EV chargers and four ultra-fast DC chargers, a 2.3-MW distributed solar system, the Charge Bliss controller, about 4 MWh of battery energy storage, LED lighting and chillers. 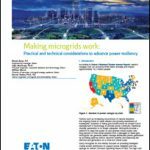 The microgrid would serve 15 city facilities under a 20-year power purchase agreement. Now the project is eligible for an additional $10 million from the CEC, which Bliss believes the city has a good shot at winning if it moves forward. The project has widespread support from community activists, non-profits, Southern California Edison, and CAISO, and would make Carson “the premiere Green City in the western United States and lead the way for other underserved communities to reap the rewards of sustainable, clean energy systems across the entire country,” Bliss said. Craig Wooster, project manager and general contractor for the Stone Edge Farm Microgrid Project in Sonoma, California, pointed out that the opposite may occur if the council kills the project. A replay of the city council’s August 21 meeting is here. What’s your take on the Carson microgrid controversy? 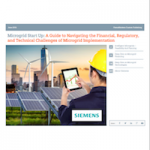 Post your thoughts below or on Microgrid Knowledge’s LinkedIn Group. Elisa, it is Simply perplexing why Carson City staff and council are being so resistant. Has the staff raised any specific objections or concerns that Bliss has not addressed?